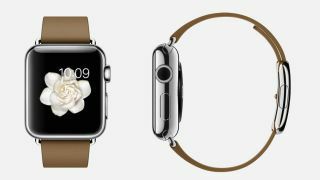 The Apple Watch is packed with details, but did Apple focus on the right things? Over 24,000 shots and 285 hours. That's how much time and work it took for Apple to show a single flower blooming for an Apple Watch face that shows a slightly different image every time you raise your wrist. This could have been achieved with no photos, and in probably a fraction of the time, by using CGI and you likely wouldn't have noticed the difference. But no, Apple wanted to use real photography because it really cares about the little details. In an interview with Wired, Apple's human-interface chief Alan Dye gives other examples. There's the jellyfish face, which involved building a fish tank and shooting them at 300fps on super-expensive Phantom cameras, leading to 4096 x 2304 images - a level of detail which no one will be able to see now they've been shrunk down to fit the Apple Watch. They're all details which no-one is likely to notice and in many cases no one physically could notice and by the sounds of things they took a mind boggling amount of time and work. Yet to Dye and the other people who worked on them they were details that mattered. Was it justified? Probably not, but it's certainly impressive in a faintly ludicrous kind of way. It might have been better if Apple had spent less time taking pictures of flowers and more time sorting out the battery life of its wearable though. Just saying. Is the cheapest Apple Watch a hard sell?